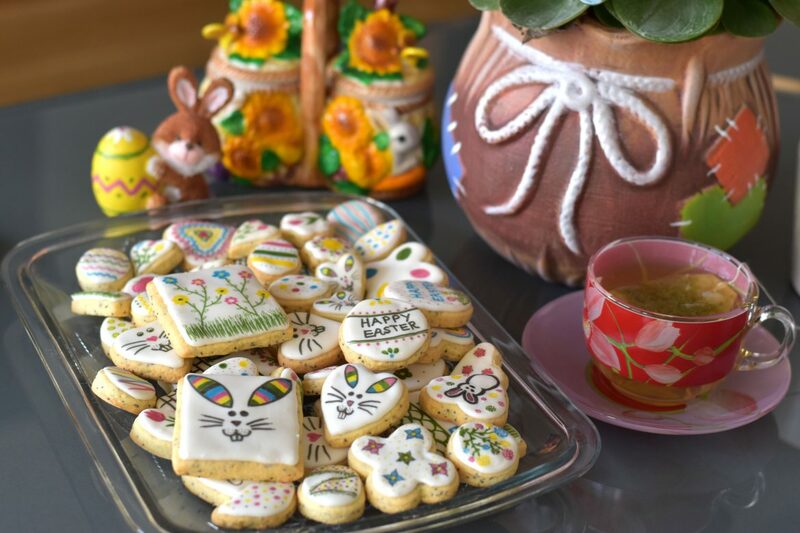 If you read my other articles, you can see that I make royal icing sugar cookies for almost every occasion. 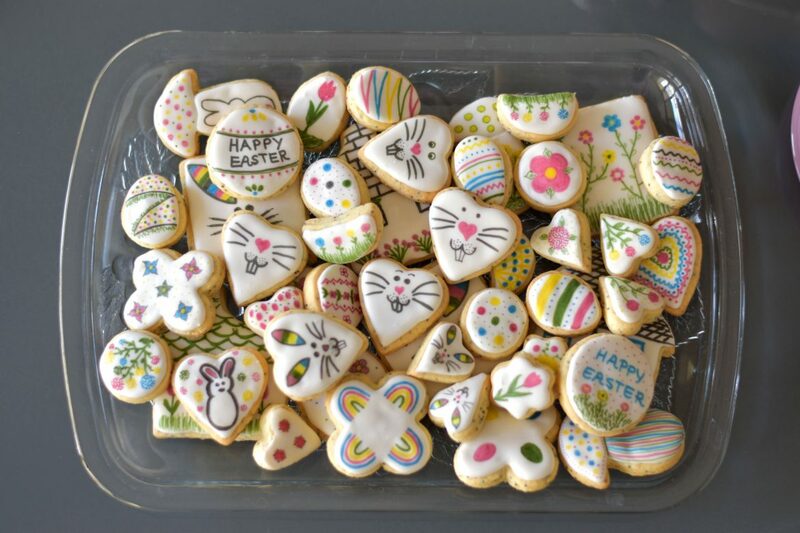 I’ve never made Easter cookies over the years, so this year I decided to give it a try. 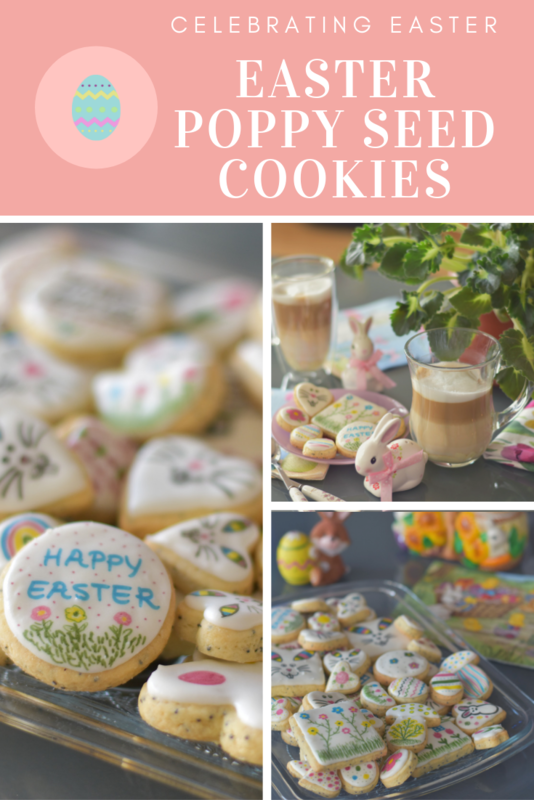 In the basic recipe for sugar cutout cookies, I added a little bit of poppy seed, because poppy seed reminds me of Easter (my mother always makes poppy seed desserts this time of the year). It is a very small modification, but it makes all the difference in taste and also in presentation. 6. 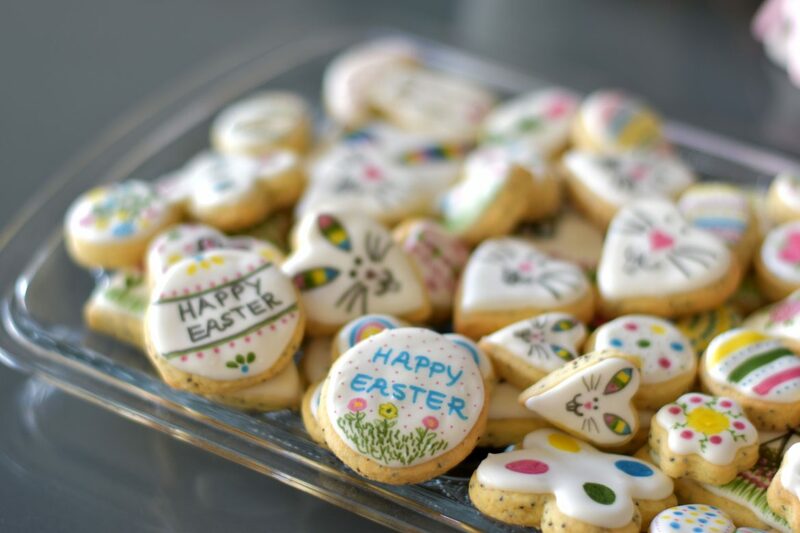 For the royal icing beat the egg white until frothy. Add the powdered sugar and mix until you get thick mass. If the frosting is not enough thick add more powdered sugar until you get the right consistency. If you’re using food colorings divide the mixture, add the food colorings and mix it until the icing is homogenous. Pour it in a piping bag and start decorating. 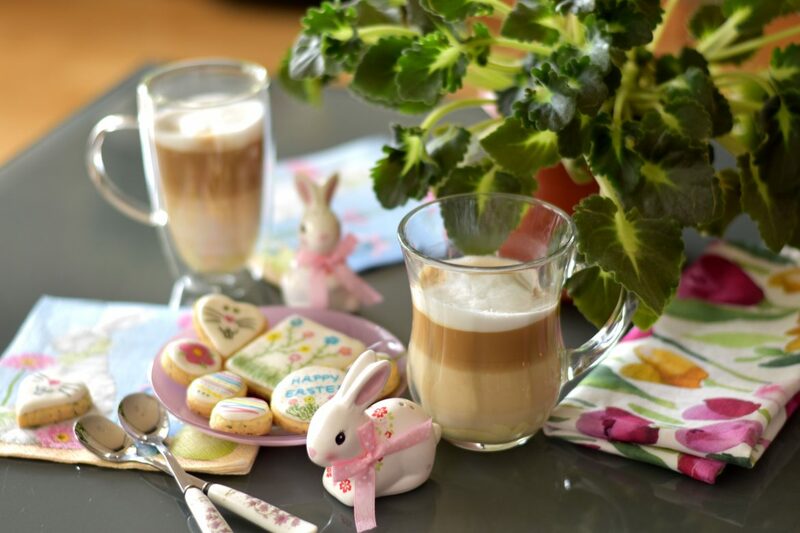 In the morning we don’t have that much time or creativity to cook a nice meal, which is contradictory to the fact that breakfast is one of the most important meals of the day. That’s why it would be nice if you have all the ingredients prepared the night before, so when you get up in the morning, you will need no more than 10 minutes to prepare a healthy meal that will keep you full until lunch. 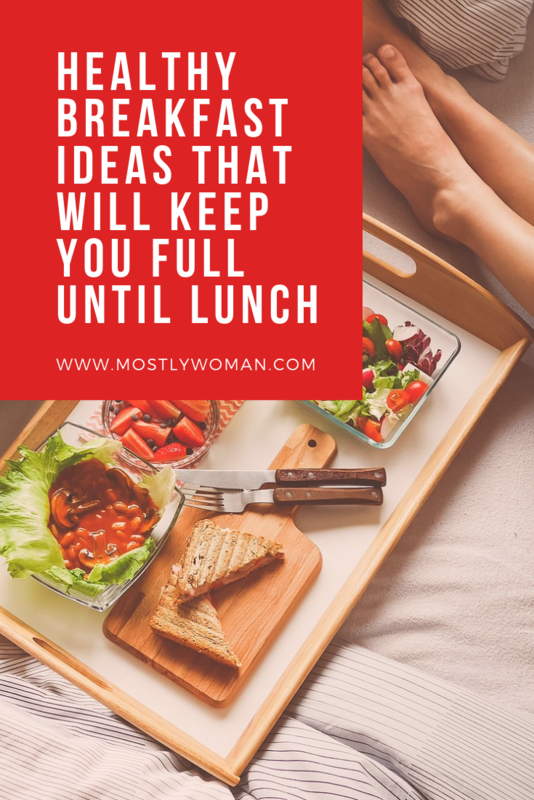 Make a plan ahead: Make grocery shopping for the weekend; Prewash the green salads, so you will have enough for few days; Bake/boil the meat if you’re using some for preparing salads or some other dishes; Boil eggs and keep them in the fridge; Make homemade spreads that can sit in the fridge for longer time, so anytime you need a quick meal, you will have the preps. 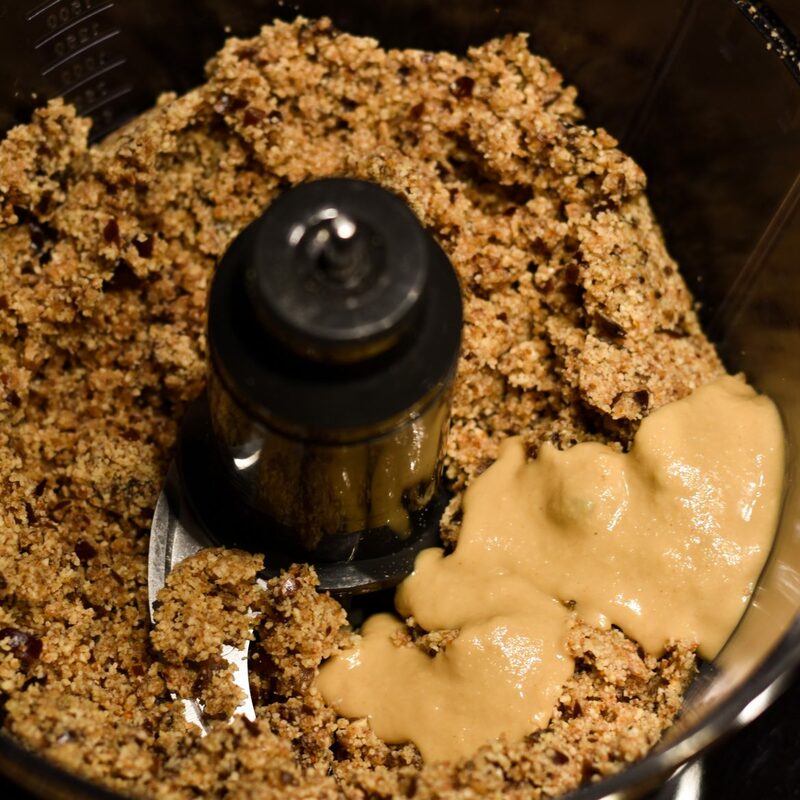 Try making this healthy bread, full of protein, fiber, healthy fats, and minerals the night before, so when you get up in the morning you will have fresh bread, so you can combine it with whatever you want. 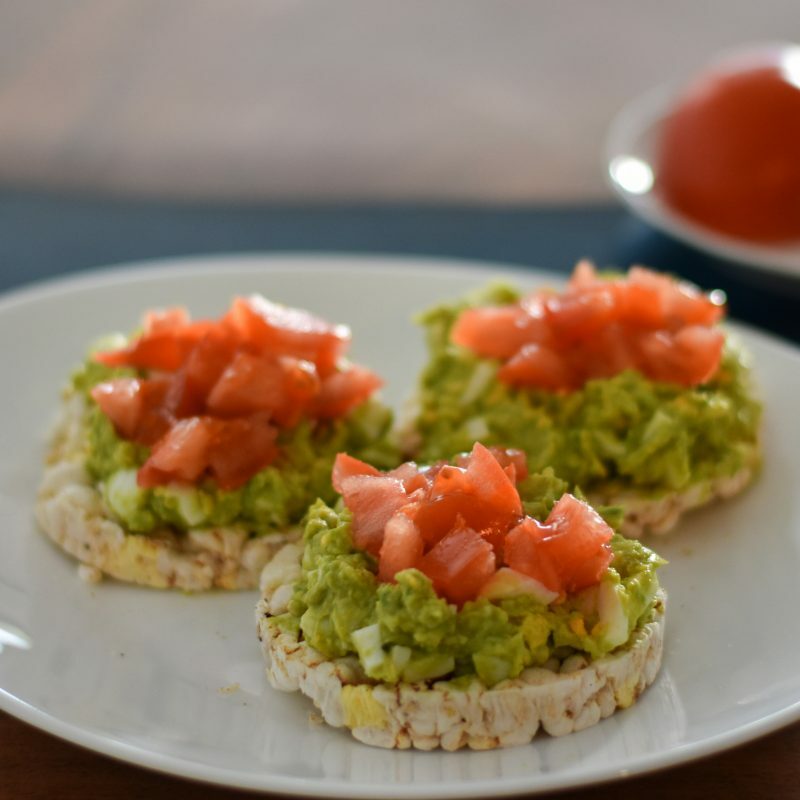 You can make avocado toast with vegetables and/or eggs; You can put different spreads (like peanut butter, nut butter, hummus, olive paste, sour cream, cottage cheese spread), and combine it with vegetables, like tomatoes, cucumber, radish, peppers, etc. Also, you can make a sandwich and take it with you at work. It’s a time saver. This meal is magic if you want to lose weight fast. But why Buckwheat? Because it is an excellent source of vitamins and minerals, and also buckwheat helps you feel full longer, so that is one reason why it is great for losing weight. 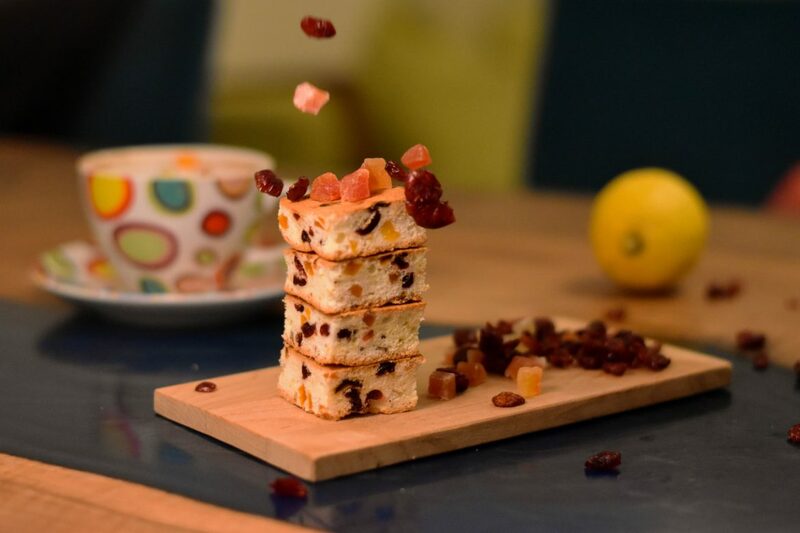 If you combine it with homemade kefir or yogurt, you get the perfect combination. Kefir is one of the most probiotic-rich foods that support the detoxification process, and also is rich in calcium, magnesium, biotin, vitamin B12, and many other nutrients. 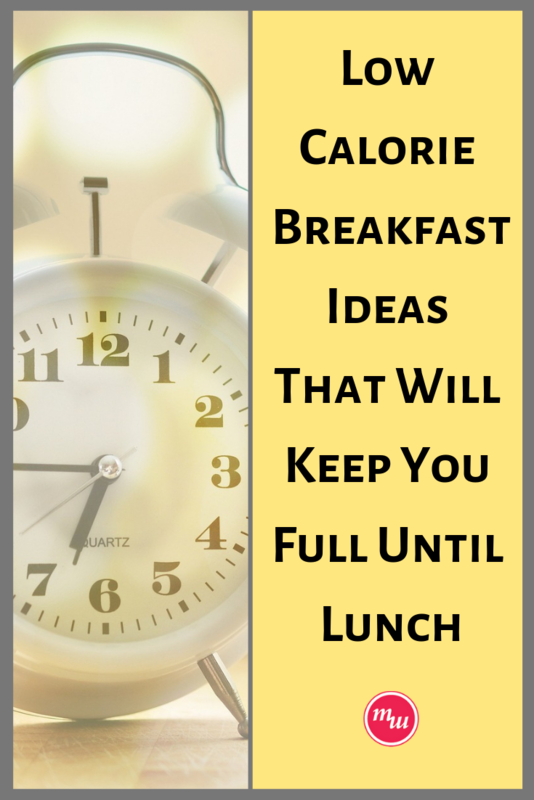 It is low in calories and rich in protein, so it will keep you full longer. 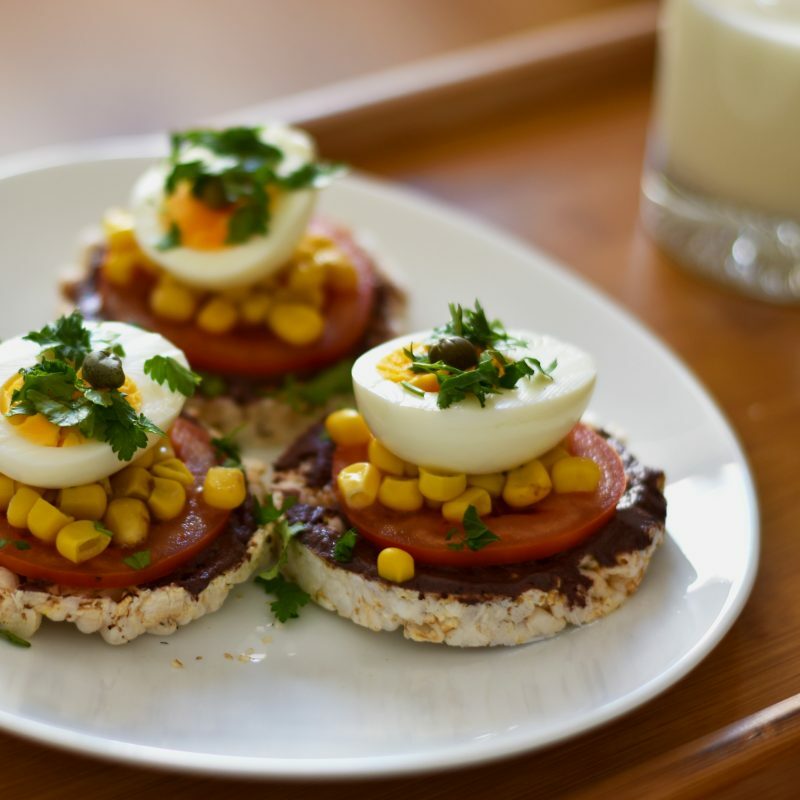 Rice cakes are low calorie, gluten-free substitute for bread. Everything you combine with bread, you can make with rice cakes. 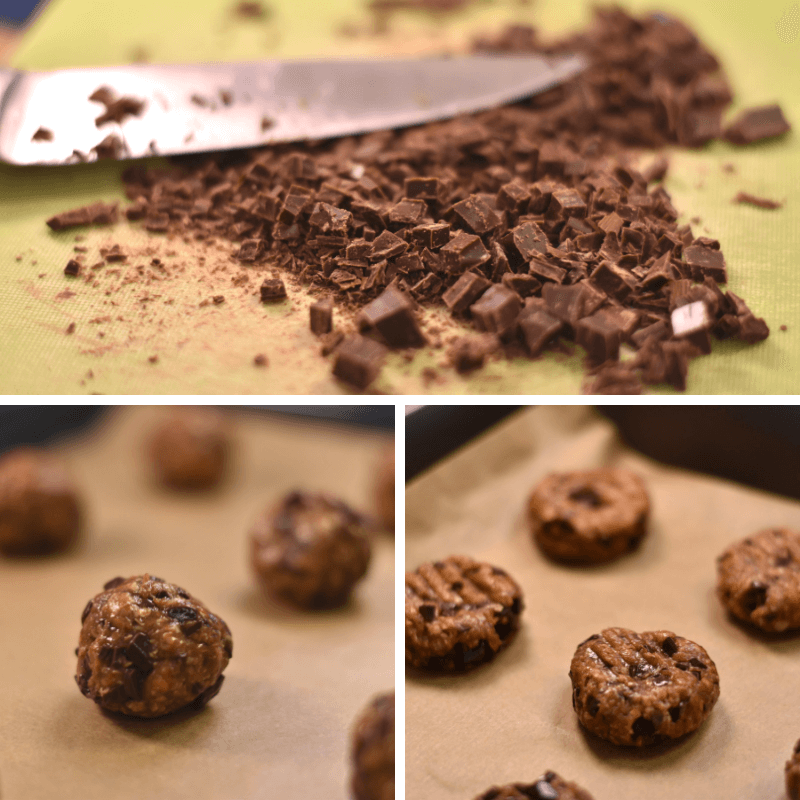 You can make them savory or sweet. Use all the spreads I mentioned above (avocado, hummus, sour cream, peanut butter, nut butter, olive paste, etc. ), and add protein (eggs, cheese, tofu, tuna, etc. 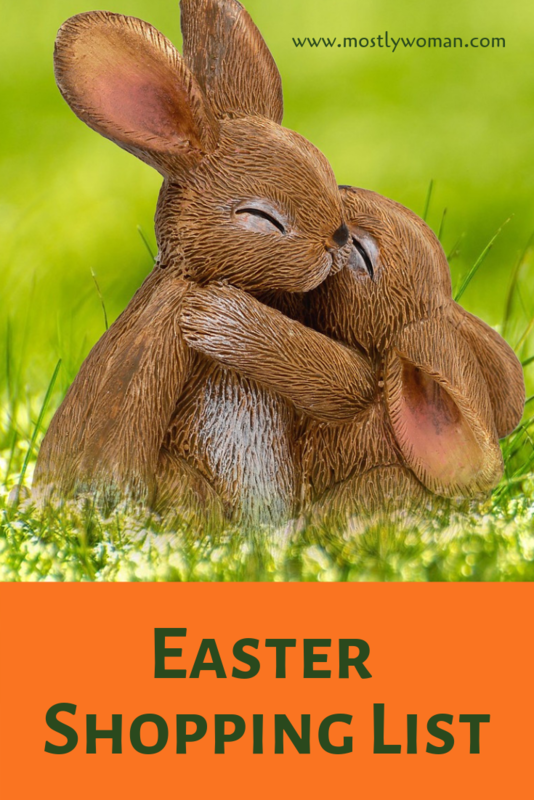 ), so you will feel full longer. 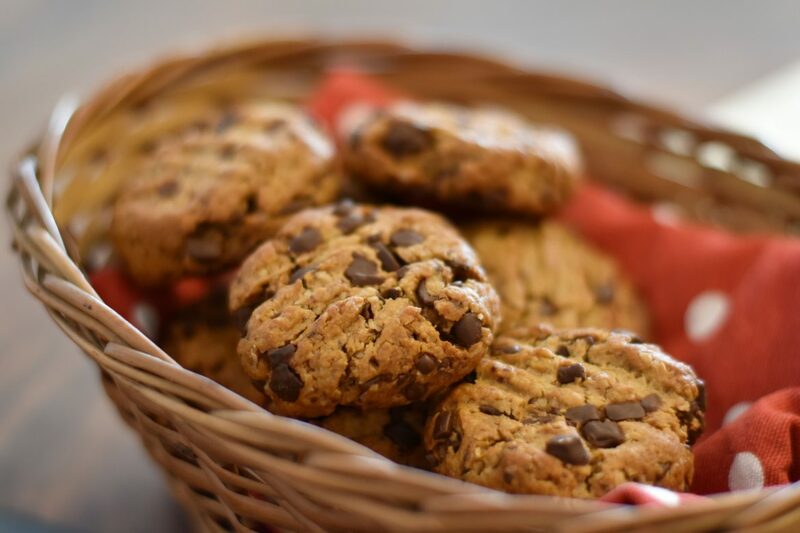 For the sweet version, you can use mashed banana or avocado, tahini, peanut butter, nut butter, and add fresh fruits or fruit jams and preserves, dark chocolate chips, seeds, shredded coconut, etc. Combinations are endless. Depending on the ingredients that are used to make the smoothie, you can make this type of meal to be filling. If you add enough ingredients that are high in fiber, protein and fats, I believe that the smoothie will satisfy your satiety until lunch. The most common base for the smoothies I make is banana, oatmeal and milk/yogurt. After that, you can make any combination you like. Add fruits and/or vegetables, nuts, seeds, peanut butter, dried fruits, coconut, protein powder, etc. I don’t add additional sweeteners in my smoothies because the banana and the extra fruit I use, have enough sugars. It’s best if you have your green leafy vegetables washed the day before, so in the morning you can just add the other ingredients and get a nice, nutrient-dense meal. You can combine lots of stuff with green leafy vegetables: Chicken (cooked the day before), fish (canned or cooked the day before), vegetables (frozen or canned for time-saving), nuts, seeds, fruit (fresh or dried), cheese, etc. I rarely follow recipes for making a salad; I usually use ingredients I have in my fridge and storage, so I always make up some new and interesting combinations. 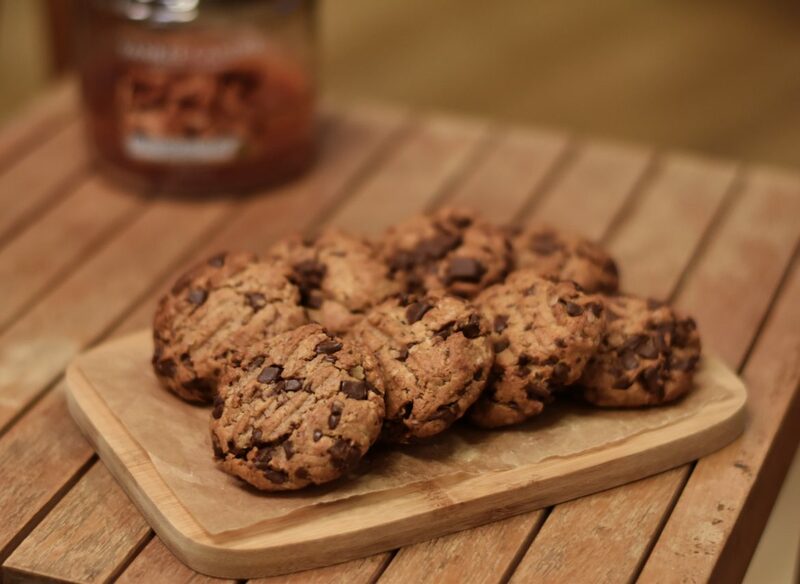 These peanut butter cookies are a healthier version of the classic chocolate chip cookies. 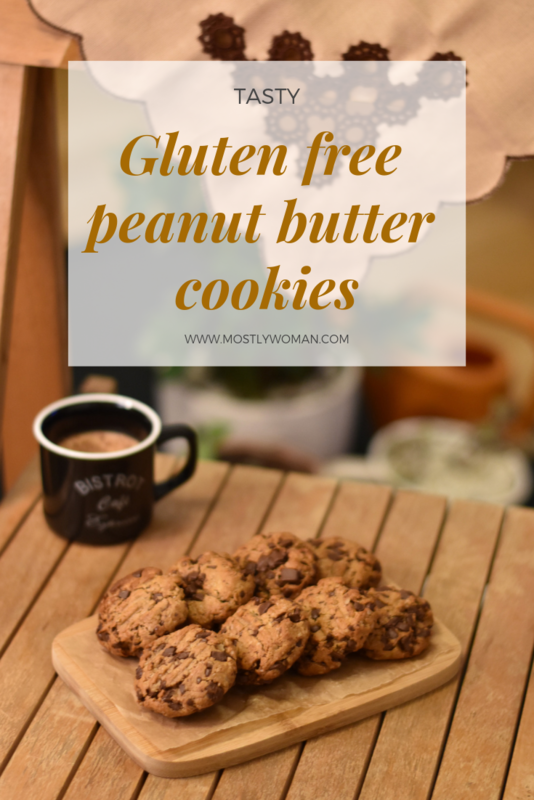 Instead of wheat flour I substituted oatmeal, honey instead of sugar, peanut butter instead of dairy butter. 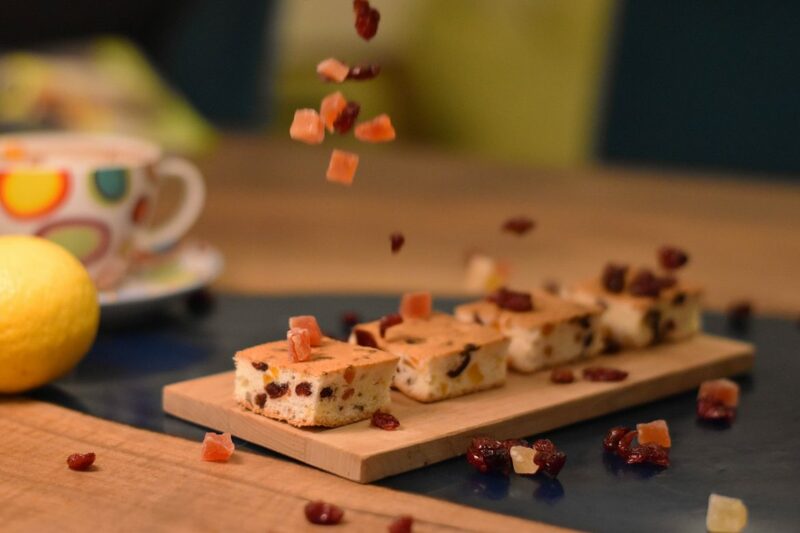 So, if you’re aiming for gluten free, dairy free diet, this dessert is a perfect choice for you. 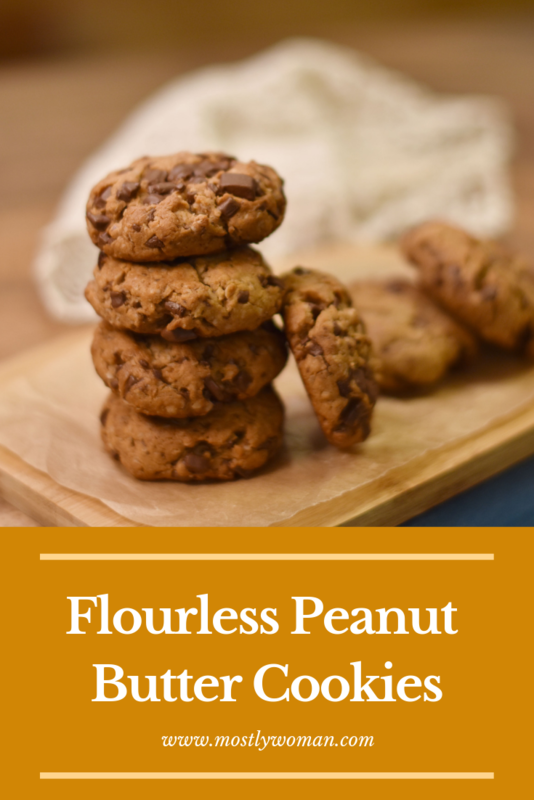 They have very strong peanut taste, so if you’re a peanut lover (I know I am), I’m sure you will make these cookies more than once. 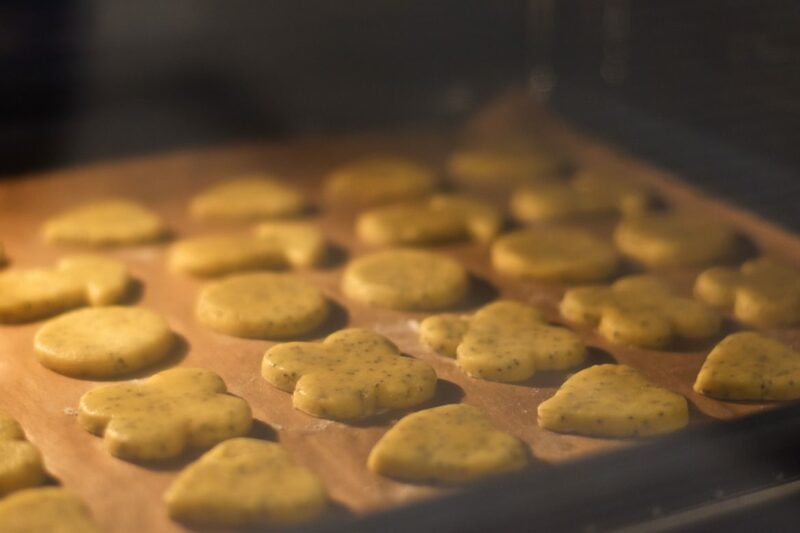 Allow cookies to cool for 5 minutes, then transfer them to a cooling rack to cool completely. Many times when we cook, we use only the egg yolks for some particular dish, and we have egg whites leftovers. 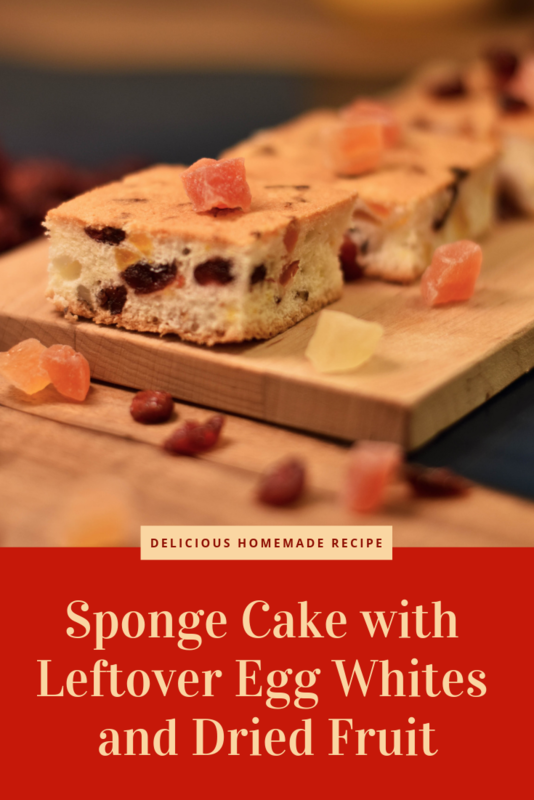 I often make this egg white cake, so I can use up everything I have in my fridge or freezer. If I don’t use the leftover egg whites for the next two to four days, I freeze them. Their shelf life is one year if you keep them in the freezer. Always remember to label the container with the number of egg whites and the date they are frozen. 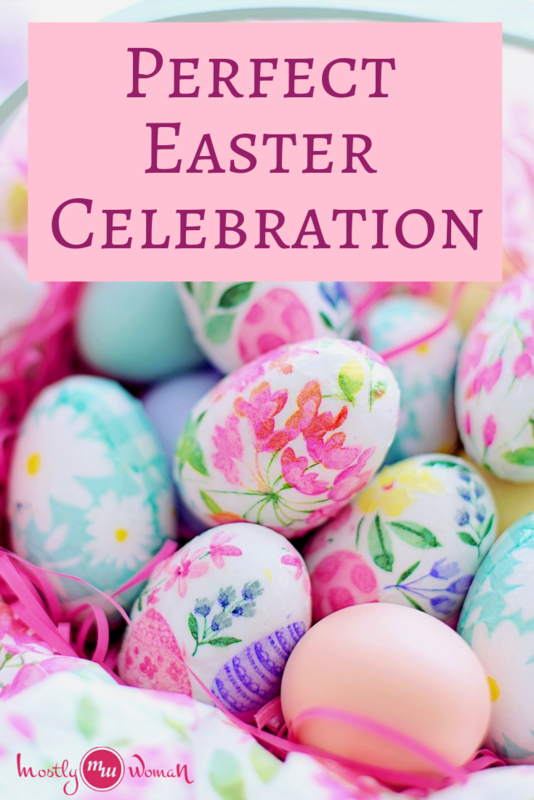 If you have many egg whites, separate them in smaller containers, so you won’t have to thaw all of them if you need an only small quantity for some recipe. 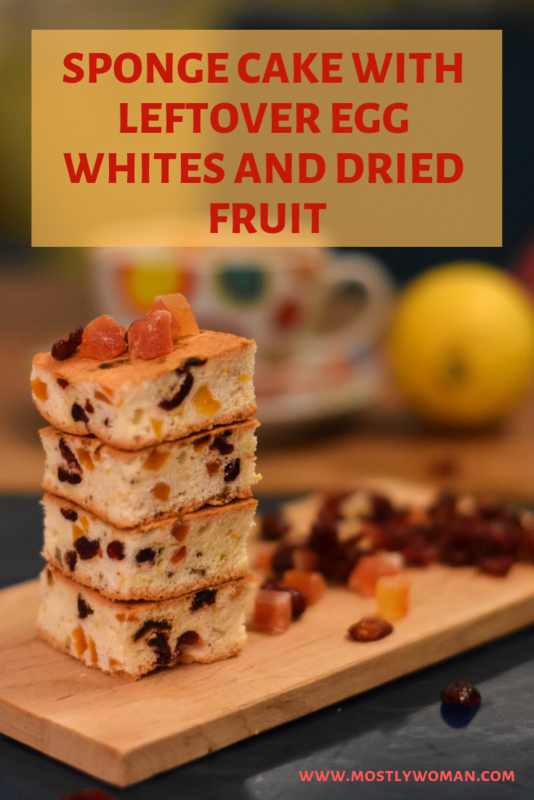 This recipe is open for modifications because you can use any dried fruits and make a different ratio between them depending on your taste (or you can use only one type of dried fruit). 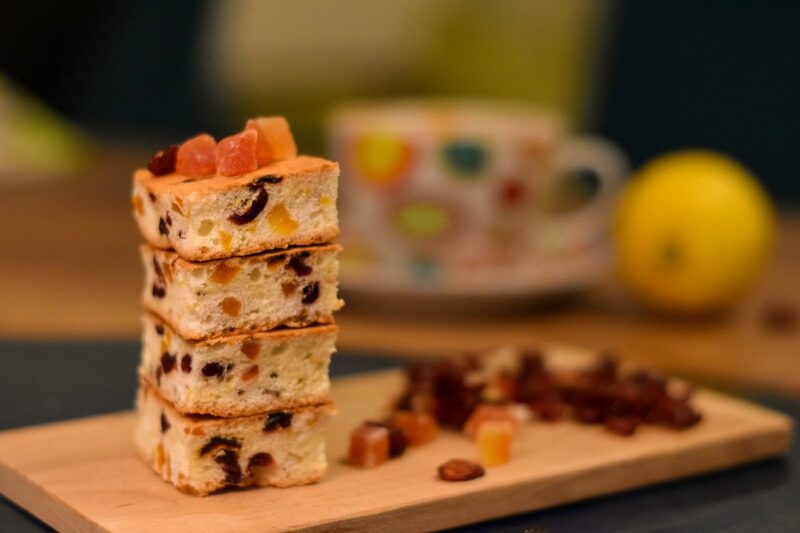 You can use dries grapes, cranberries, pineapple, figs, dates, mango, papaya, apricots, plums, ginger, etc. Also, you can put chocolate chips in the mixture if you want to achieve chocolatey taste. 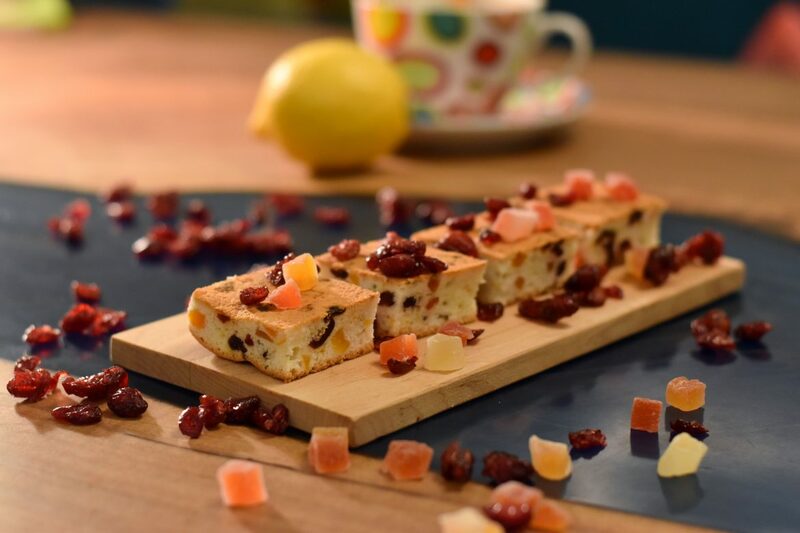 The zest of lemon and orange gives this recipe a lovely fresh and exotic touch, but you can make this recipe without them if you prefer so. 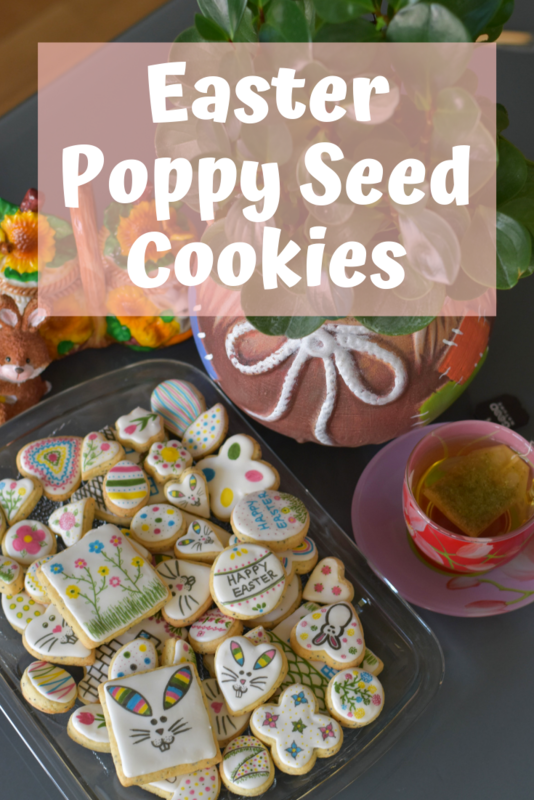 The good thing with this recipe is that you can bake it in any shape you like. I usually use a rectangular or square pan, but you will not make a mistake if you make it in a circle pan, bundt pan or muffin tin. Put the mixture in the greased pan and bake for 30 minutes. I love old recipes my mother made for me when I was little. 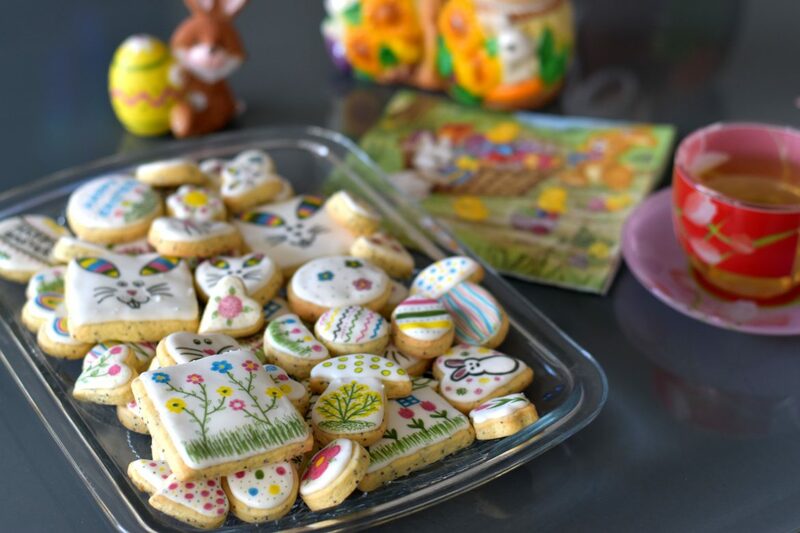 Our family has lot’s of recipes that are passed through generations. I collect all those recipes so I can give them to my children, and my children to their children, etc. 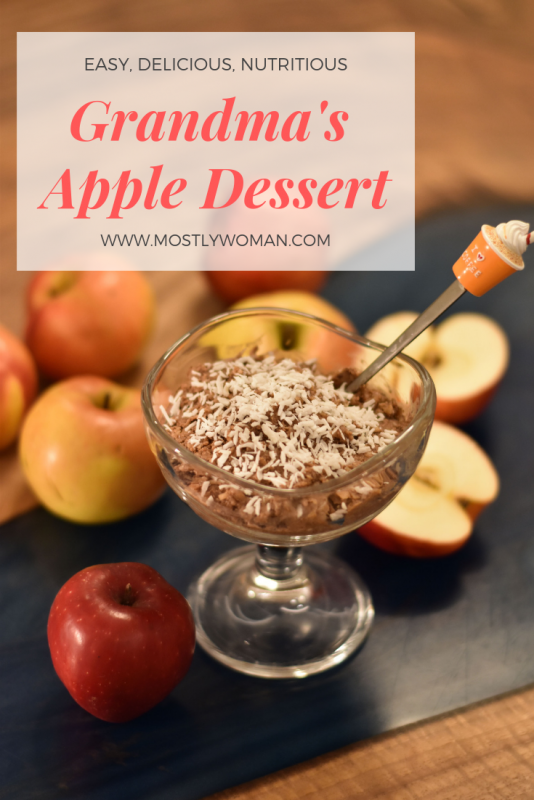 This apple dessert is one of those old recipes that I wanted to share with you because it’s so easy to make, so delicious, and at the same time nutritious. 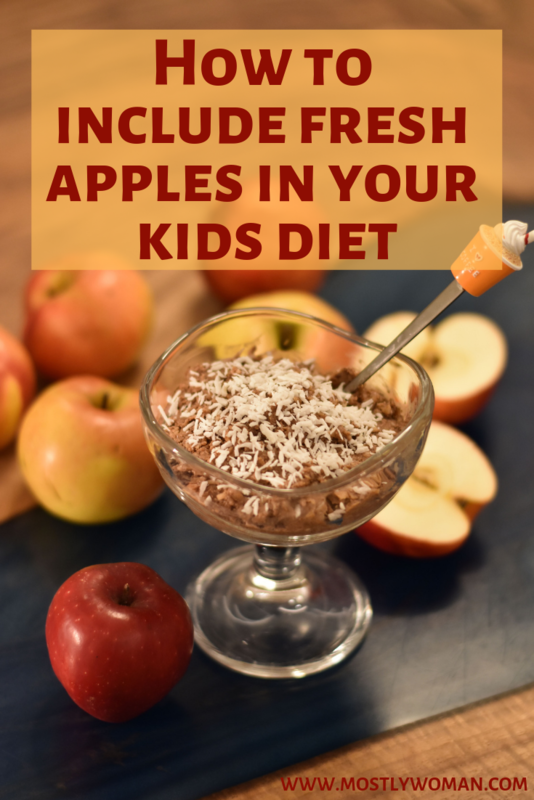 My mother made this apple dessert all the time for my sisters and me when we were little because she wanted to implement more fresh apples in our diet. 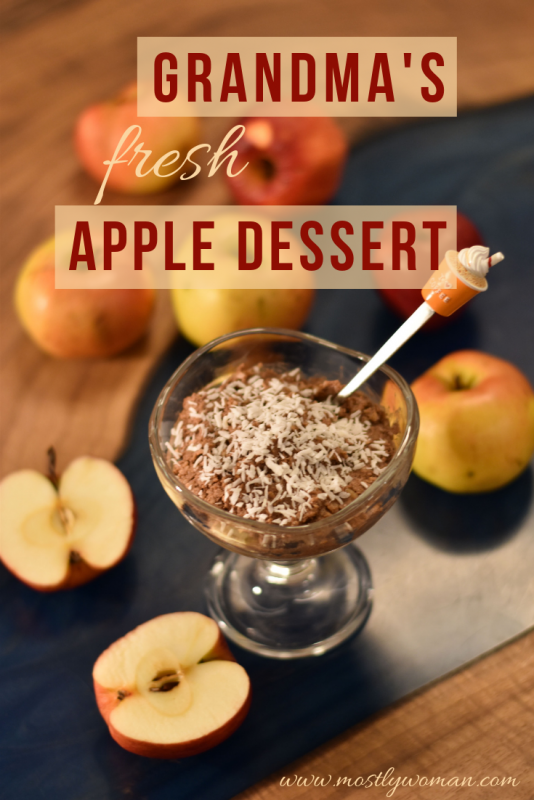 And isn’t it magical when you incorporate fresh apples in such a lovely dessert which you can’t wait to eat it? Also, when you make this recipe, you can make lot’s of modifications, depending on your taste. For example, you can switch the walnuts with any nuts or shredded coconut, so that the dessert will get a different flavor. If you have a toddler, and you’re not giving him yet nuts, you can skip the nuts, and use that amount for biscuits or shredded coconut. You can play with the spices, use anyone you like, or don’t use at all if you want it to be plainer. Don’t forget to take in consideration lemon or orange zest for adding more taste. 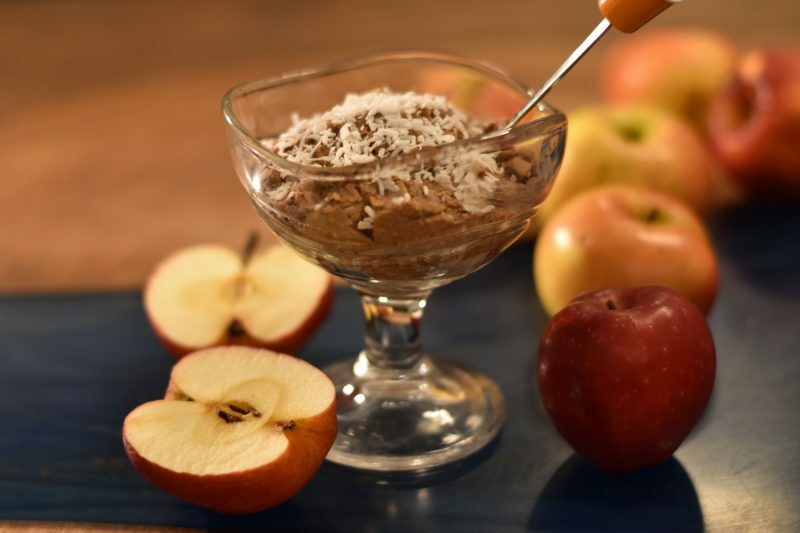 The original recipe for this apple dessert is to be in a shape of balls, but my family modified it because shaping balls can be time-consuming. Instead, we would divide the mixture into nice glasses or dessert bowls. 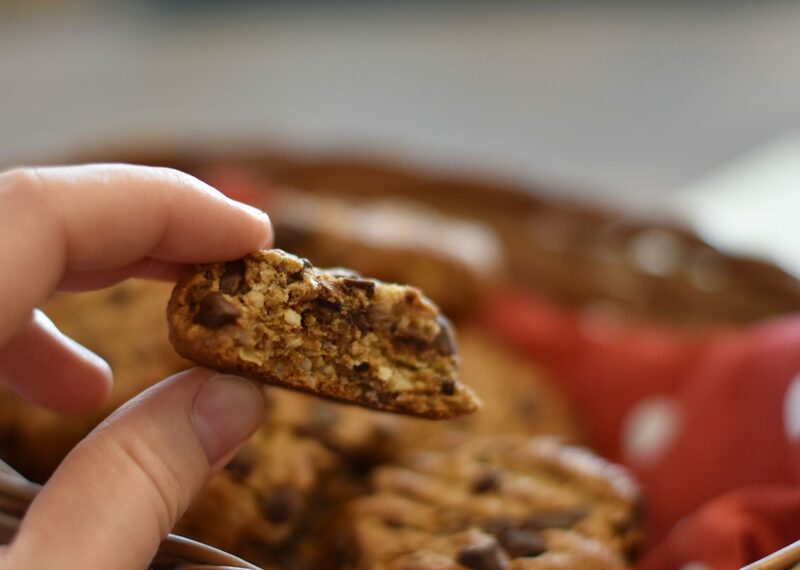 However you decide to make it, I hope you’ll enjoy this old family recipe. 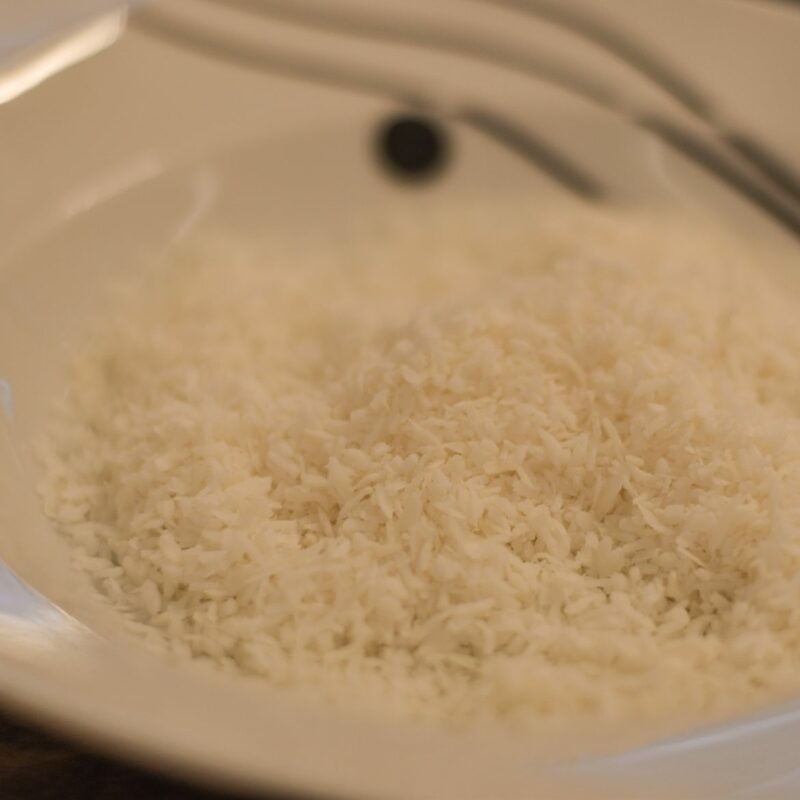 Serve the mixture in small bowls and decorate with shredded coconut or ground nuts. 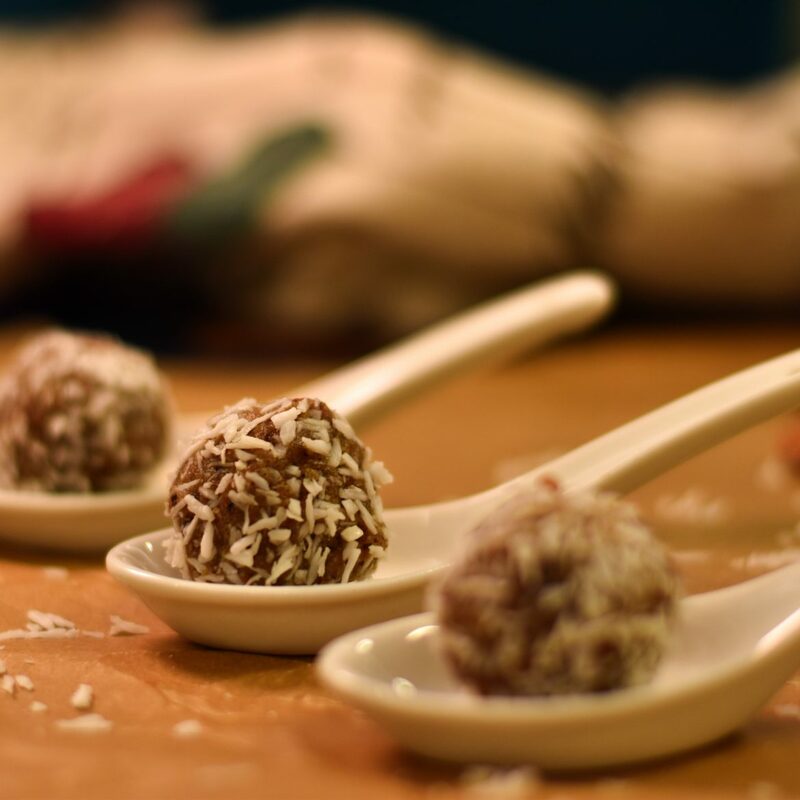 Also, you can shape the mixture into balls, rolled in shredded coconut or nuts. 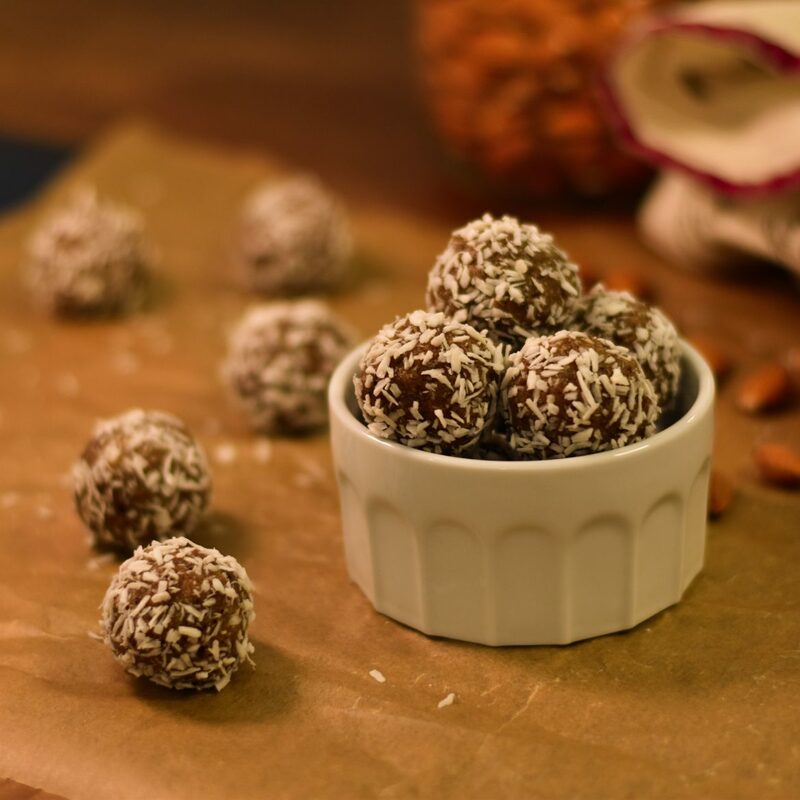 I made these delicious energy balls with only three ingredients: Raw almonds, dates, and tahini. 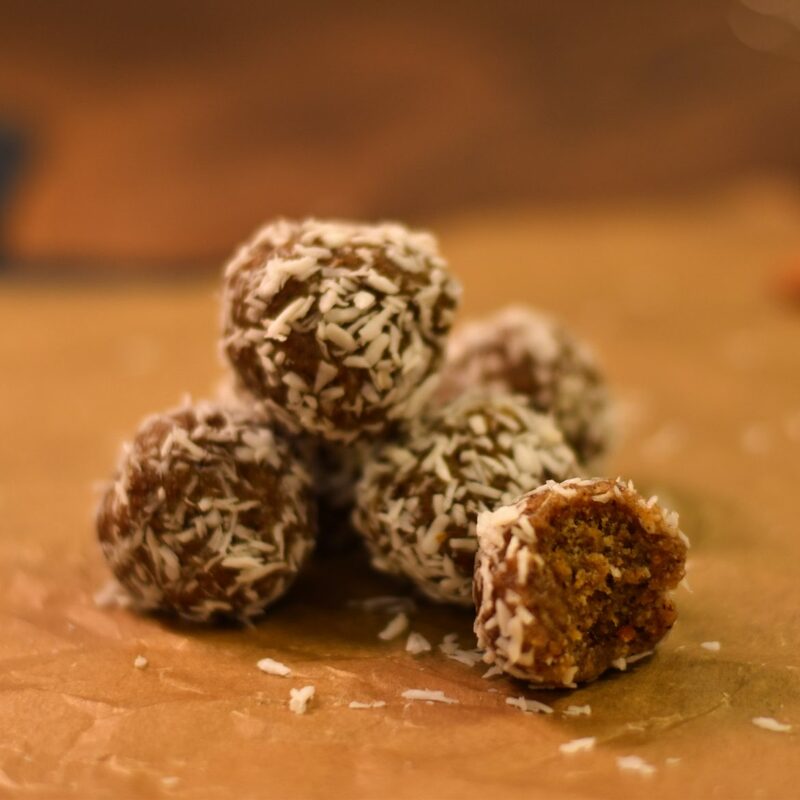 I rolled them in shredded coconut, but you can use whatever ingredient you want (chopped almonds, sesame seed, cocoa, etc.). 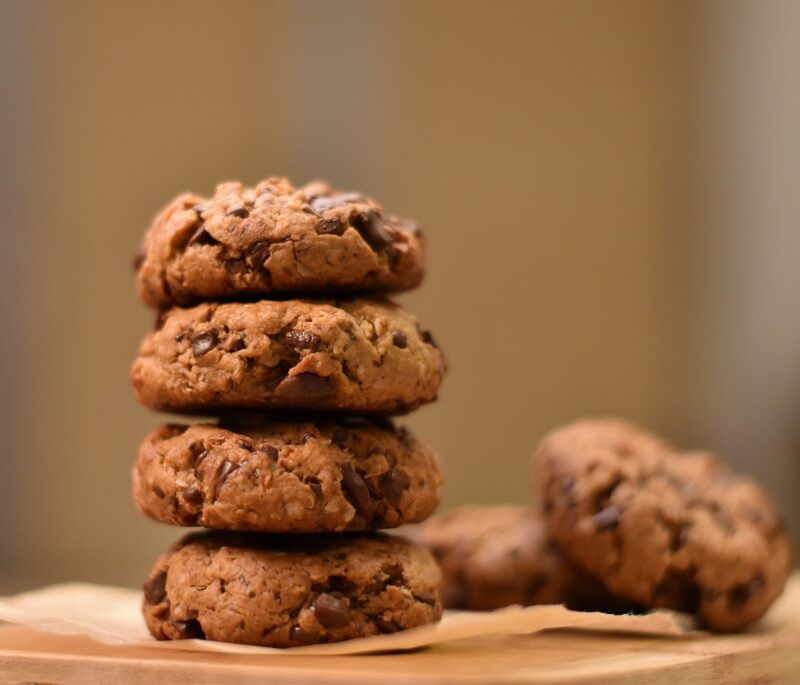 They are raw, vegan, lactose free, gluten free and super nutritious. 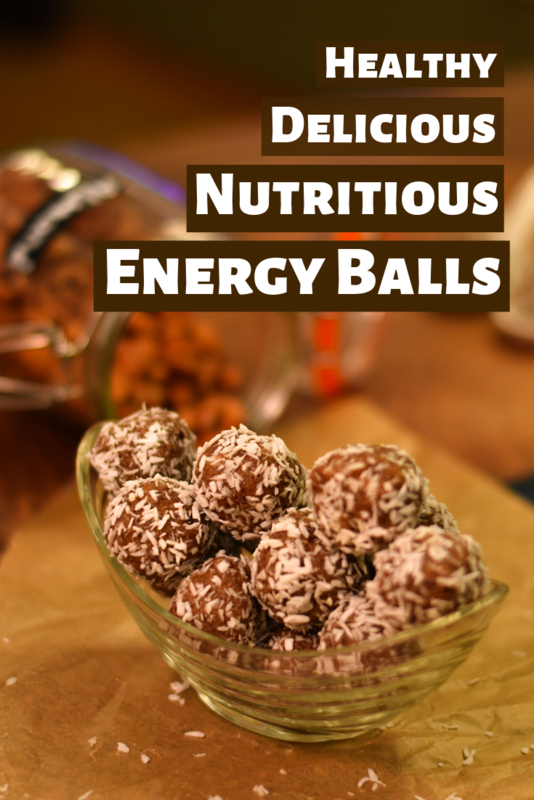 These energy balls are packed with so many nutrients, so, I can have the freedom to name them Nutrients balls. They’re rich in protein, dietary fiber, polyunsaturated fatty acids, monounsaturated fatty acids, B vitamins, folate, vitamin E, calcium, magnesium, iron, zinc, potassium, selenium, etc. 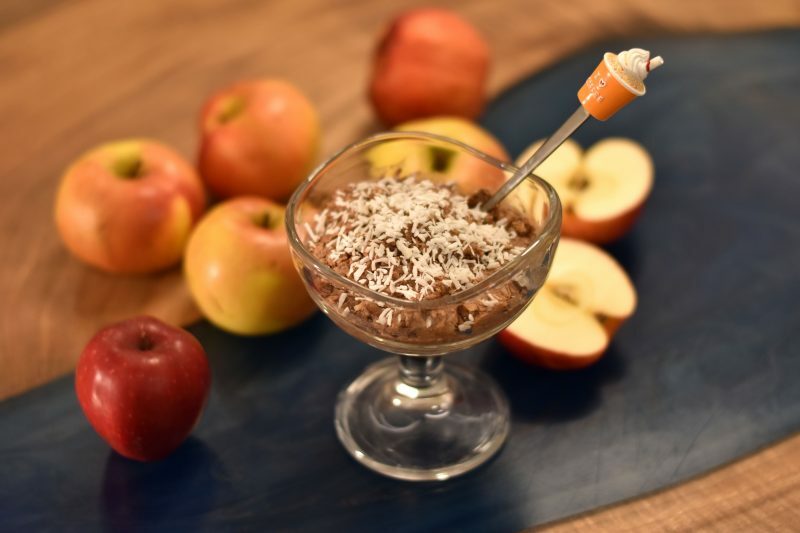 So if you have some nutrient deficit, this recipe is so good for you to try. 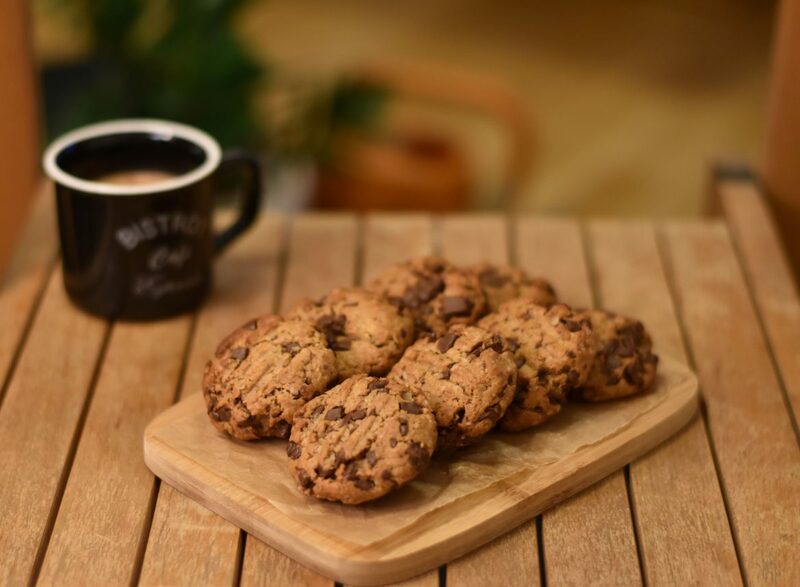 But be aware that this recipe is a high-calorie snack, so I would recommend eating one or two pieces per meal. I know it sounds like a small quantity, but they are very satiating, you won’t need to reach for another. 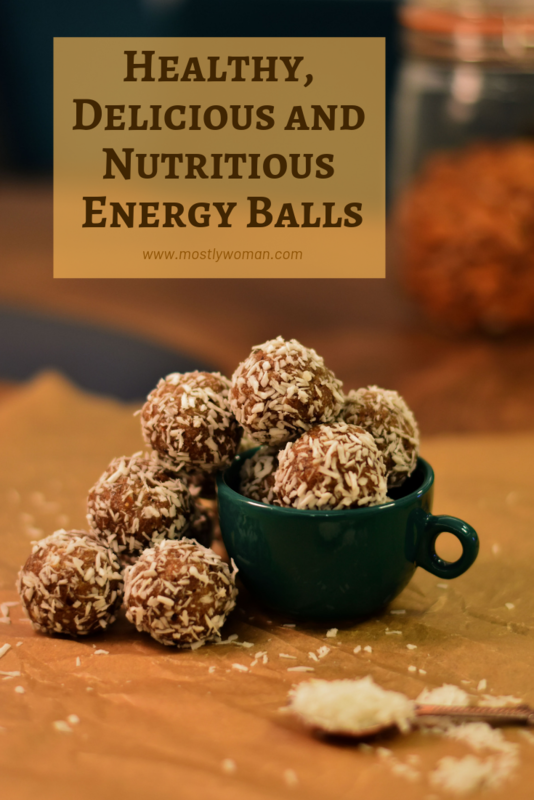 You can make lot’s of modifications with these energy balls, like adding cocoa, carob powder, different kind of nuts instead of almonds, seeds, spices, etc. Be creative! 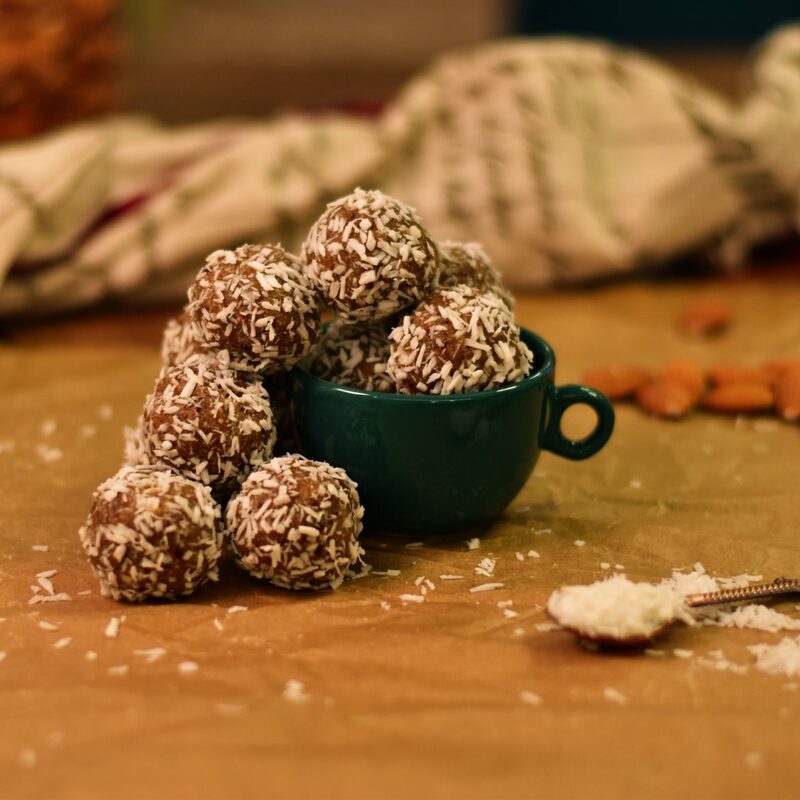 Sometimes, when I don’t have so much time on my hand, I don’t roll the mixture into balls, I just put 1 or 2 tablespoons in a small cup, sprinkle with shredded coconut or something else, and serve it like that. 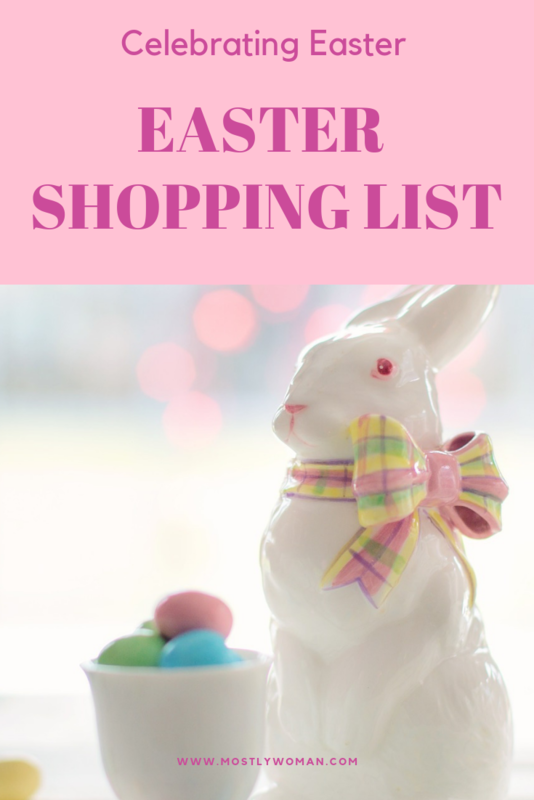 Store them in a sealed container in the refrigerator up to 5 days. 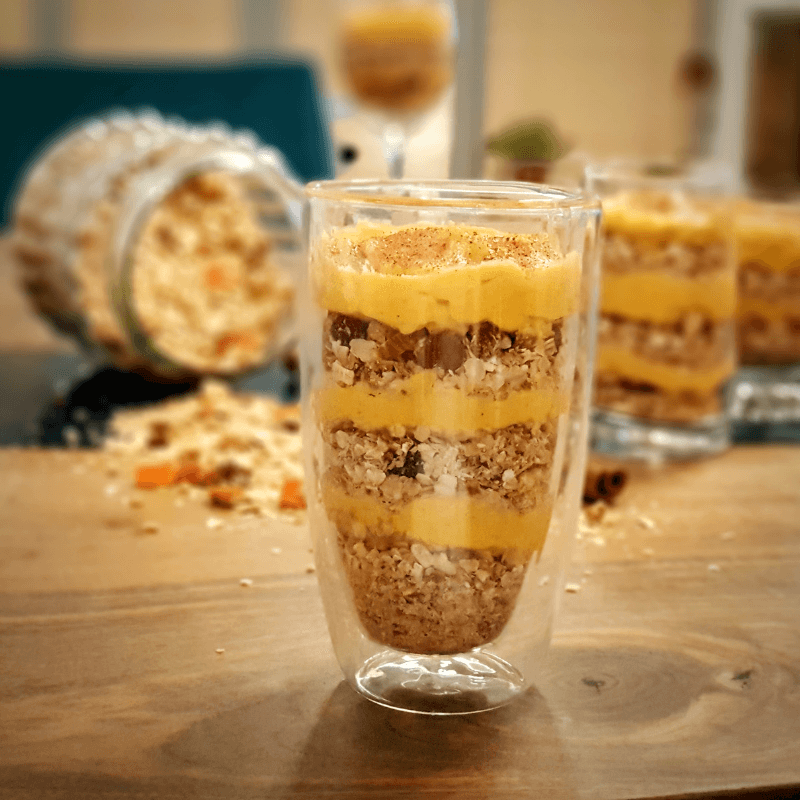 I came up with this Pumpkin Cheesecake Granola Parfait recipe because I had baked pumpkin and cream cheese in my fridge that were before their expiration day, so I combined those two, added a little bit of sweetener, spices, homemade granola and voilà – it turned out perfectly healthy dessert. I make granola very often, and I keep it in a glass jar and use in different meals. There are countless variations for homemade granola, but this recipe I make is simple and tasty enough, and everybody in my family likes it. For making this parfait more healthy, I would recommend switching the cream cheese with greek yogurt. It will become low fat and probiotic-rich dessert. Also, if the pumpkin you’re using is sweet enough, I would omit the sweetener. 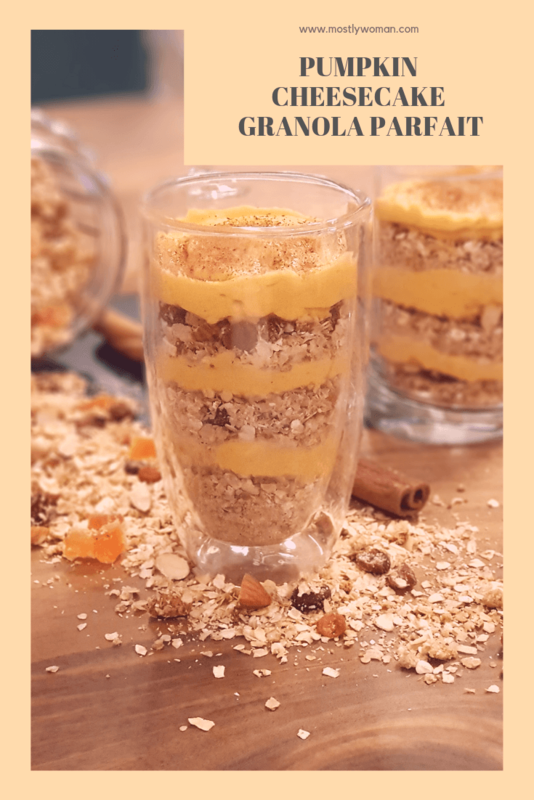 This recipe is so easy and fast to make, also healthy, with the possibility to experiment with the ingredients. Take good looking glasses or jars and start assembling the parfait. 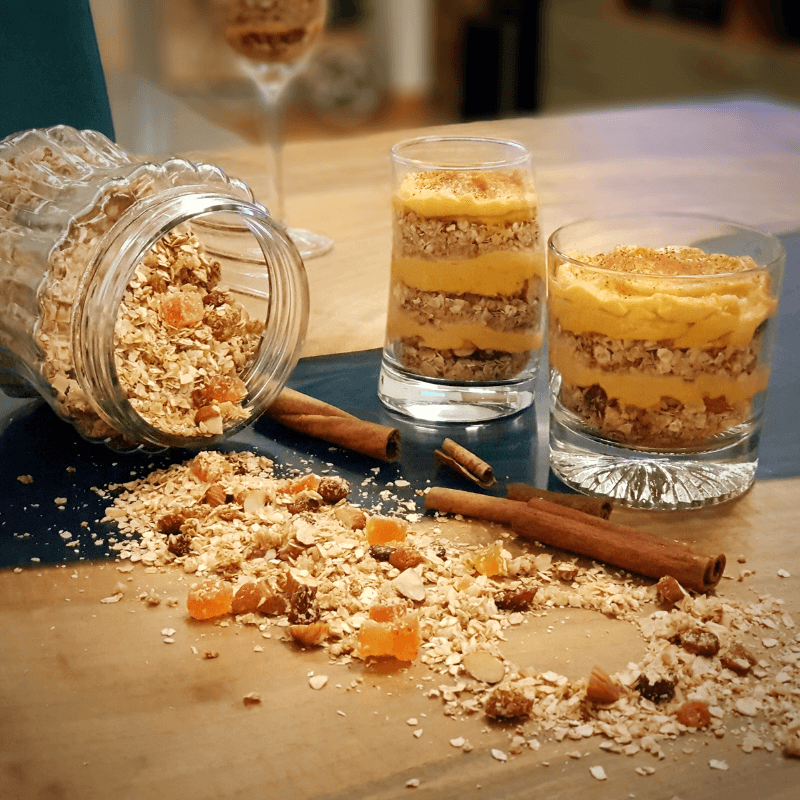 First, put 2 – 3 Tbsp of granola in the bottom of the glass/jar. 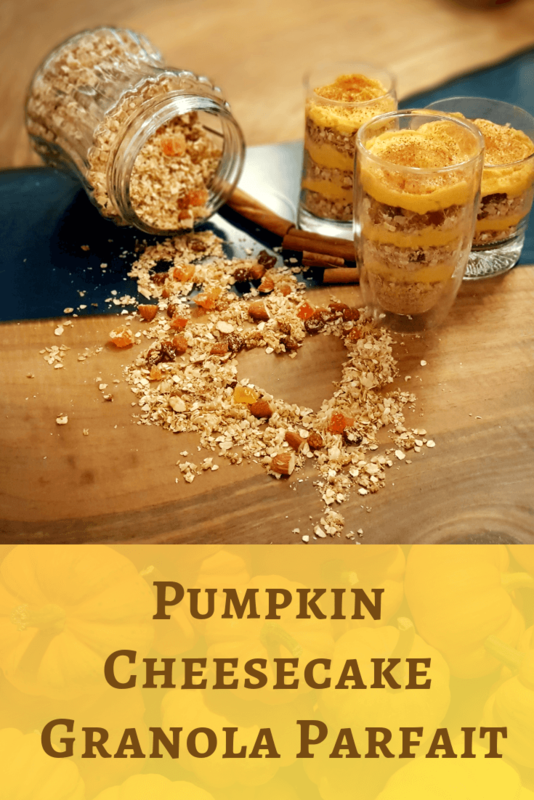 Pour 3 Tbsp of the pumpkin cheesecake mixture over the granola, Repeat the layers one more time or more times if you’re using tall glasses or jars. 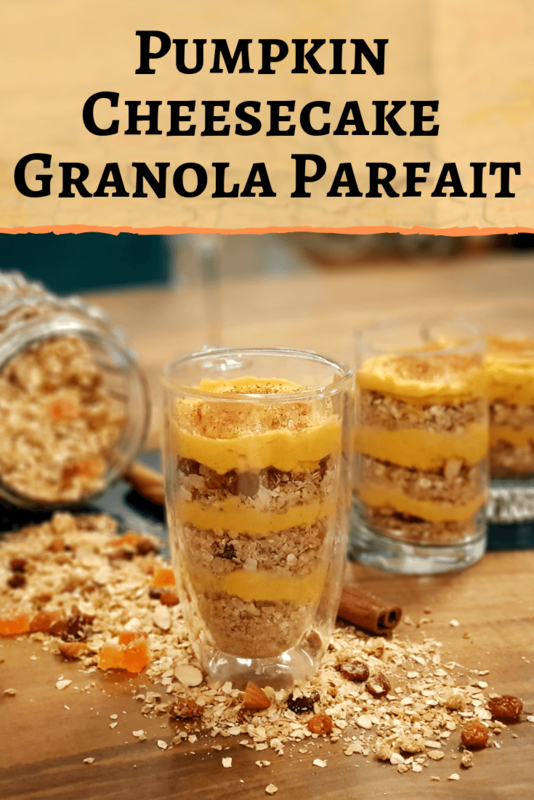 I used approximately 1/4 – 1/3 of the granola for the parfaits. Store in a glass jar or container the rest of the granola. Keep it in the dark and cold place. 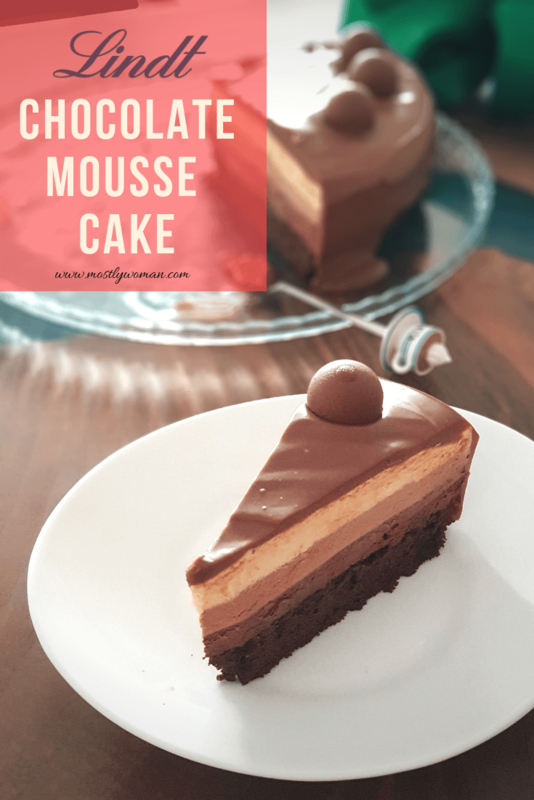 When I say Queen of all Cakes I mean that this Chocolate Mousse Cake is one of the best cakes I’ve ever made. 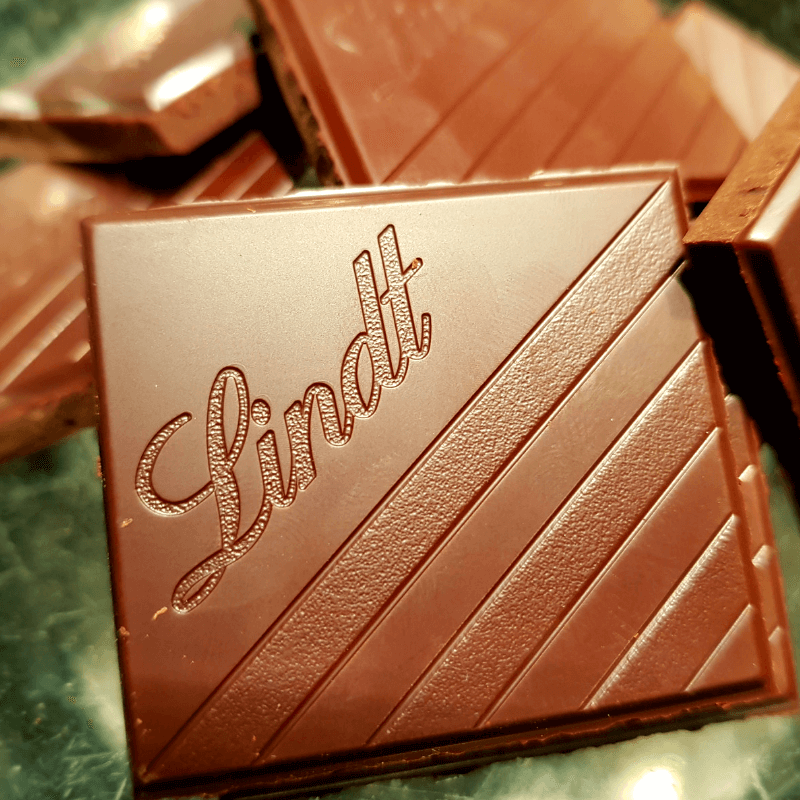 Of course you take in the equation the quality of the ingredients, hence Lindt chocolate is one the best brands in the world. But, however, even if you’re using some other chocolate I think that this cake would turn out just fine. I made this cake as a birthday surprise for my partner. It took me lots of hours to make it but it was worth it. 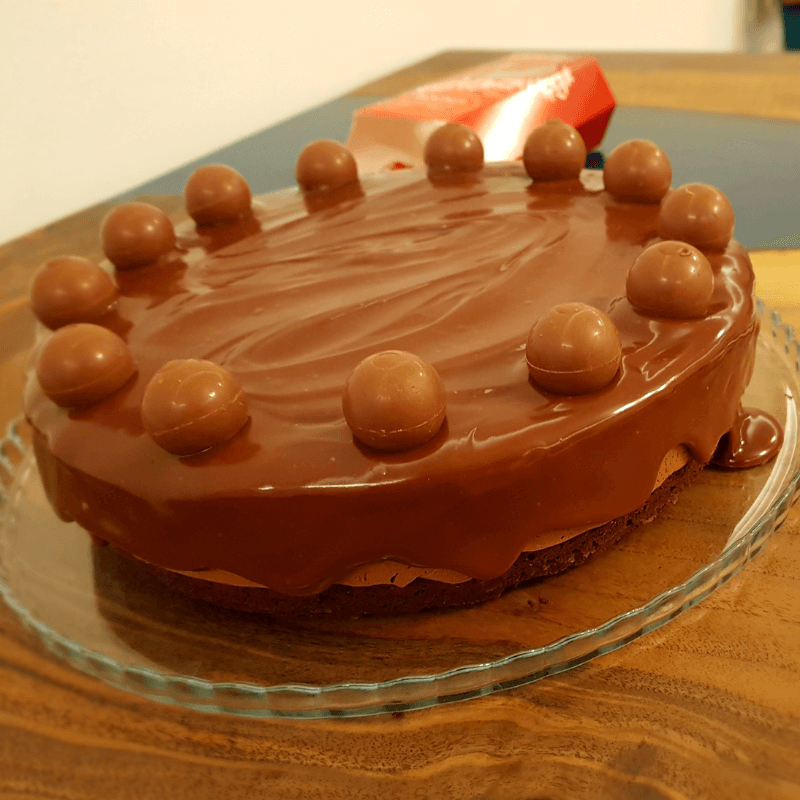 My partner loved it, and the guests that came to his birthday party were impressed. 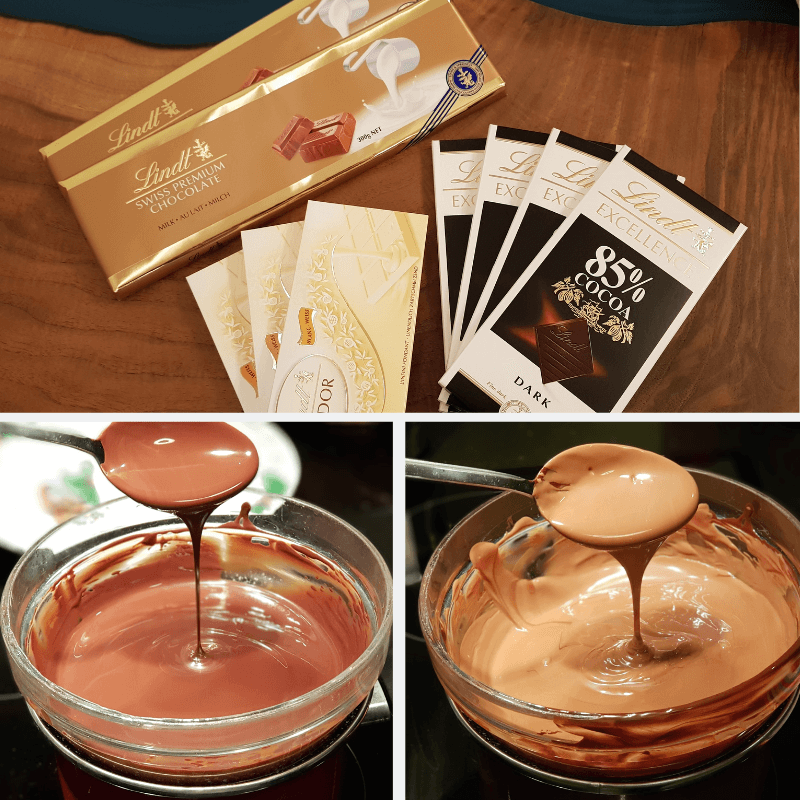 The cake pieces were served with decorative spoons that were filled with Lindt milk chocolate ganache, for better presentation. You can decorate the spoons however you want. I used sprinkles, but you can put shredded coconut, nuts, white chocolate, marshmallows, crushed candy, dried herbs and flowers, etc. The cake base is made from a brownie recipe, because I wanted it to be more chewy. I used 85% cocoa dark chocolate, which turned out to be very strong and almost bitter in taste, so next time I’m making this cake base I will definitely use less dark chocolate (maximum 75% cocoa). 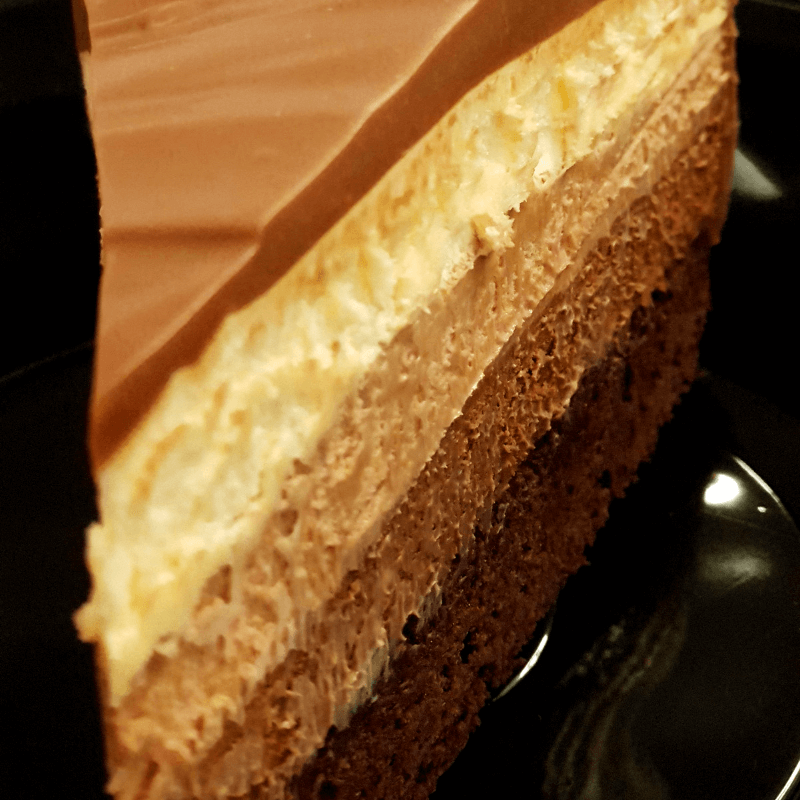 Also, if you’re not that big fan of extra dark chocolate, for the dark chocolate mousse layer use chocolate with maximum 75% cocoa. 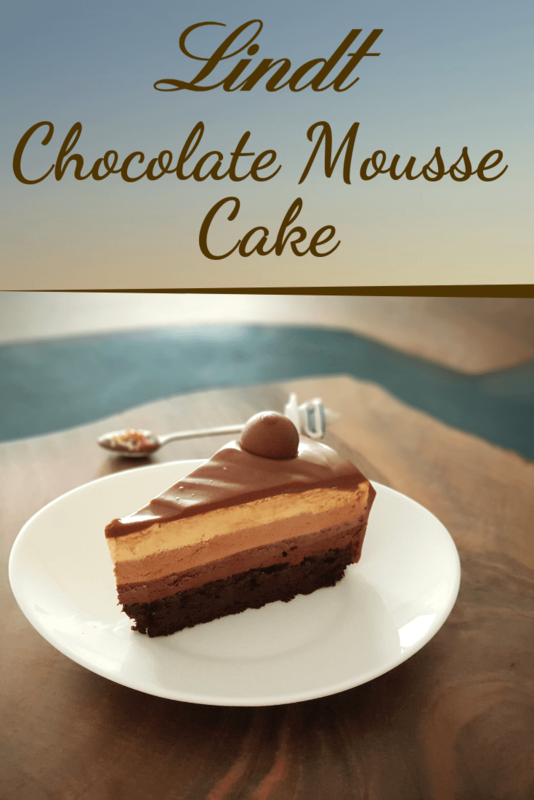 This cake has lots of steps and can seem to be very complicated to make, but if you’re well organized and read the recipe thoroughly before you start making the cake, I think that you wouldn’t have any problem. 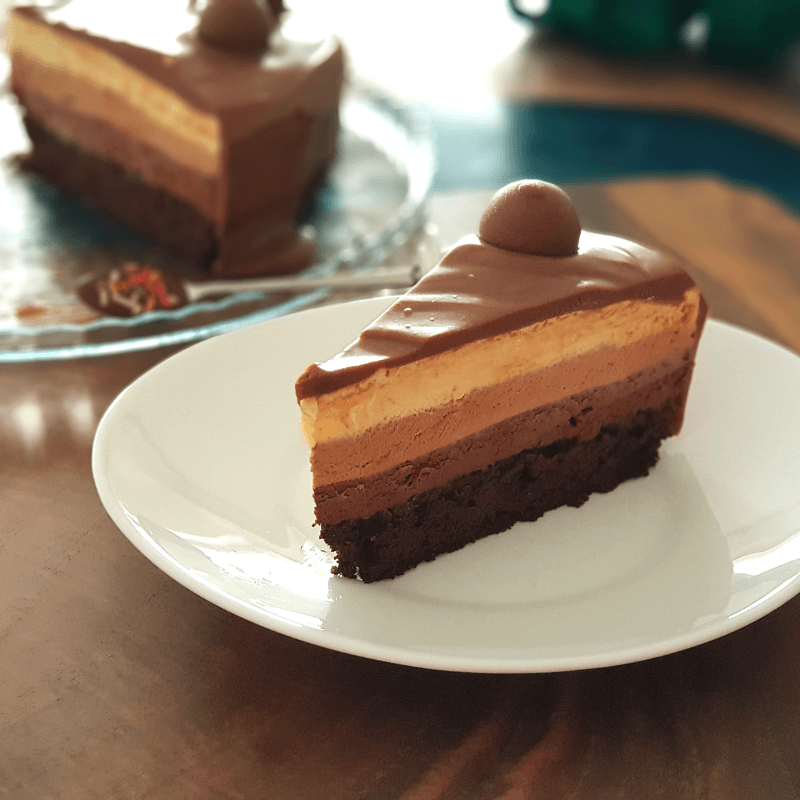 After all, some little more effort is worth it for having the opportunity to taste this decadent chocolaty cake. 17. I left little part of the ganache to fill decorative spoons for serving the cake. 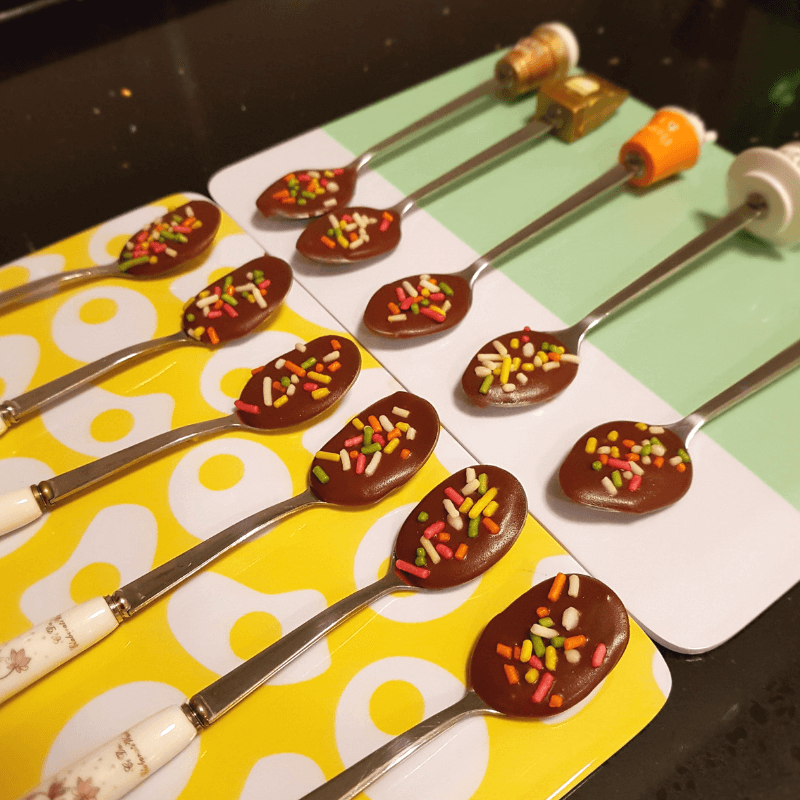 Decorate the spoons with sprinkles or anything else you have in mind before the ganache hardens.